For those gamers who desperately need to break up the monotony of their day, office themed games may be the answer. Although in reality it’s not recommended while on the clock to sit and toss paper wads in the nearest basket or hurl your lunch at the idiot in the cubicle across from you it’s completely acceptable on your iPhone. Downloading some of the top office inspired games is not only thoroughly entertaining but a great way to secretly kill time. Just be sure to tweak the sound settings. There are dozens of cool games available in the App Store that allows players to unleash their hidden inhibitions and go crazy. 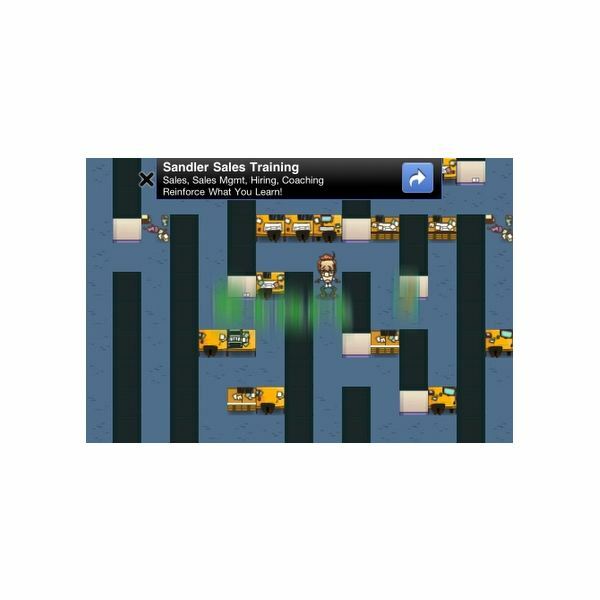 Popular titles like the Office Jerk, I Hate My Boss, Mad Maze Office, Paper Toss, and Office Heroes are must haves for iOS gamers. The Office Jerk by Fluiks Entertainment combines the basic mechanics of Paper Toss with violence and dark humor. The main objective of the game is to wipe the annoying smirk off that guy’s face in the cubicle directly across from you. Players are armed with a small arsenal of items from desktop accessories to explosives. Toss a paper ball, pencil, gum pack, red stapler, fan, pie, cupcake, coffee mug, tennis ball, eggs, and even dynamite. To score high a player has to get consecutive body shots. The more direct hits, the higher the chances of the colleague turning around grimacing allowing access to a glorious blow to the face. The pencil is one of the coolest yet unlikely weapons for accumulating points. The small size and angle makes aiming easy. When the jerk looks back players can flip the writing utensil up their nose or into their ear. It’s comical to watch. Heavier items such as the notorious red stapler deal major damage as well. Shatter the computer screen and knock virtually everything off his desk. For gamers who enjoy demolishing things it’s loads of fun. The portable fan on the desk randomly alternates sides changing the wind and velocity of the flying projectiles similar to the Paper Toss game. Despite its simple gameplay the Office Jerk can be challenging. When a player misses a shot the irksome co-worker will belt out a loud chuckle. Occasionally he will retaliate tossing back whatever object was thrown. The graphics and sound effects are incredible. The attention to detail transports users into an animated office. Phones ringing and copies being made can be heard, giving it an authentic feel. The only downside to the game is the limitation on weaponry and advertisement banners. Cooler items can be used temporarily in exchange for watching a video ad on your iOS device or purchased for permanent access. Overall it’s one of the best workplace games to play. Another great title is I Hate My Boss. In this game players are fed up with their unrelenting employer who keeps storming through the office with new demands. When the manager quickly bolts between the cubicles players earn points for hitting him with common desktop items. The gameplay is fast paced with speed being the main focus rather than accuracy. 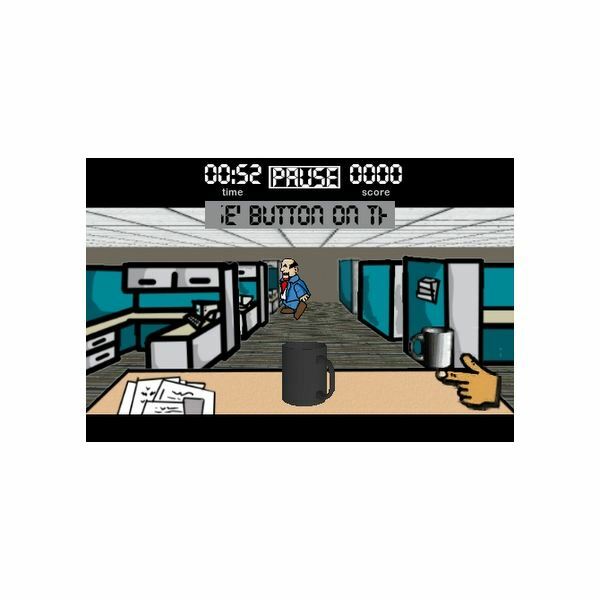 Swiftly tapping the randomly flashing coffee mug icons in the corners of the screen selects an object to throw. Timing is also crucial since the target is moving instead of a stationary position like the co-worker in Office Jerk. The comical rants of the boss inquiring about emails and a pulsating techno beat compliment the overall theme of the game. The lite and full versions are available in the App Store. Players may want to test the game out for free first with the light version if timed mayhem isn’t high on their preference list. The full version features additional taunts and a paint gun weapon. In Mad Maze Office players have to maneuver through a complicated corporate labyrinth and make it to the exit before the timer buzzes. The key required to open the door is only obtainable by killing your fellow colleagues. A light tap sets a bomb that will engulf employees within range. Players have to use strategy and be quick as they navigate through the narrow corridors. Characters appear as miniature office workers roaming the halls. Take them out one by one or in groups. As players progress they can earn various power-ups and tools. Although the graphics are average the game’s concept is fun. Gamers get to blow up everyone in the office while making a mad dash for the door. There’s dozens of different levels that unlock upon completion of the previous stage. Anyone looking for an explosive good-time should definitely try out this free app. 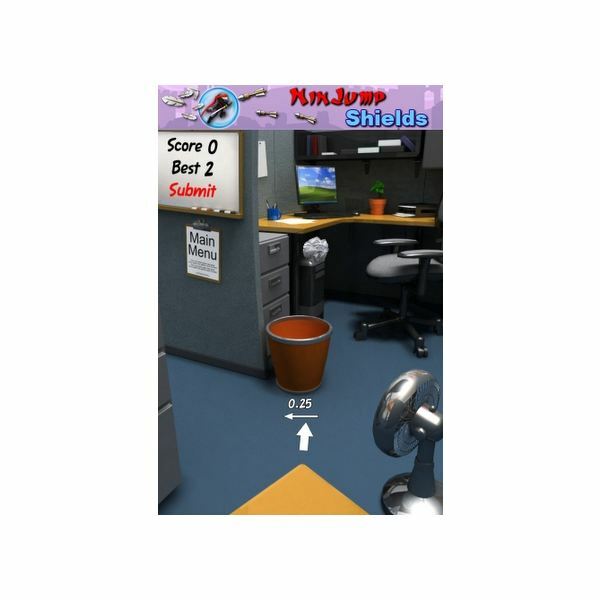 Paper Toss by Backflip Studios is considered a classic among workplace games. It’s a scaled down office version of basketball. 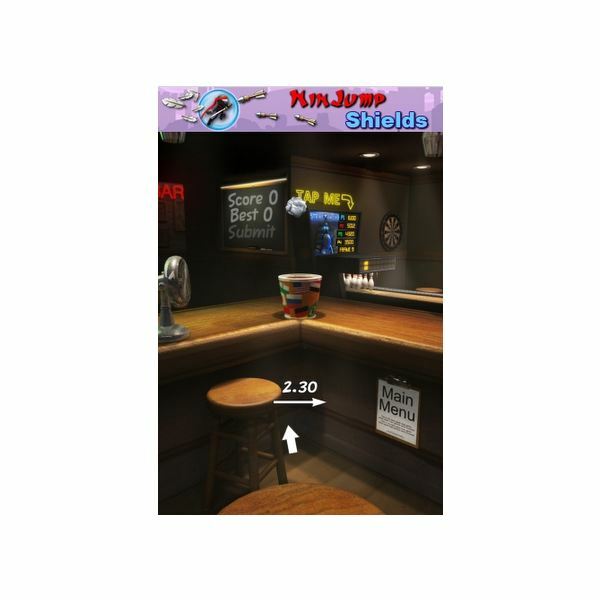 Equipped with a small wastepaper basket and paper ball players simply aim and shoot by swiping the screen with their finger. A blowing fan situated in the room makes aiming challenging. Sports fans and the office obsessed will enjoy a virtual round of paper style hoops. The game features three modes of difficulty and five different backgrounds. Go beyond the cubicle to play in the airport, basement, restroom, pub, and back alley. The sound effects are realistic, the graphics are high quality, and the gameplay is uncomplicated. The simplicity of it all adds to the overall appeal. Astro Ape Studios’ Office Heroes is another fun office game to play. This title is very different from the others mentioned above. Instead of being miserable on the job players are taking the initiative to climb the infamous corporate ladder. There’s no killing or bombs. Players complete everyday tasks like filing, tweeting, searching, collating, email, taking personal calls, gossiping, contacting IT, and daydreaming. Completing these actions earns career points and boosts an employees’ reputation. Each task requires a certain amount of time to complete. Players have to manage their time well tapping on the computer or cabinet when the project is finished. Failing to do so will result in a hero’s rep decreasing. The gameplay is practically identical to most online social RPGs. Users tackle quests to earn coins to customize and expand. Users can decorate their office and add rooms as they progress. There are plenty of customization options. Buy different styled window treatments, patterned wallpaper, colored tiles, furniture, and cool décor. Originally integrated with Facebook players can switch freely between platforms. Add friends as neighbors and visit their businesses. 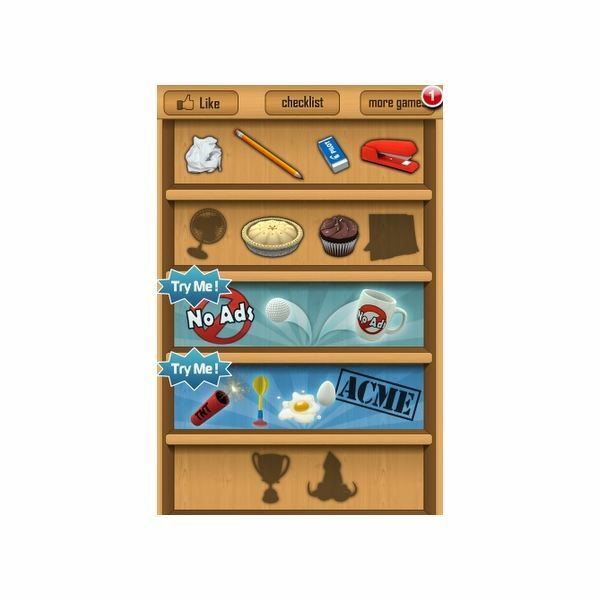 When it comes to addicting timewaster games the office themed ones reign supreme. 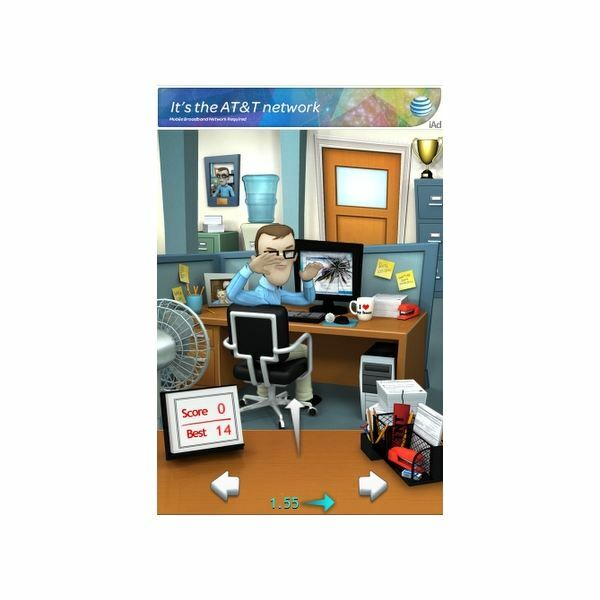 Smash your employer’s head with a coffee mug, toss cream pies, escape using dynamite, or become the go-getter you’ve always envisioned yourself to be in these fun virtual office games. All Images by Ange P.